Last week I flew back to England for four days, for the first time in nearly 3 years. 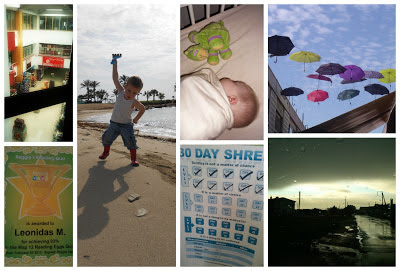 I left Aaron and the boys here, as Louka does not have a passport yet and it was going to be a whirlwind trip. I was very excited about it and couldn't wait to see my friends again. Over the time I was there I wasn't online much, although I did manage to keep up with my 365 project even though I took surprisingly few photos. Between us all we only ended up with one very blurry, and unattractive picture of us all together which is not going to make it onto facebook let alone here! I shopped, I slept, I drank, talked and ate, and I was very cold! Now Louka has turned 6 months, it's that time again! 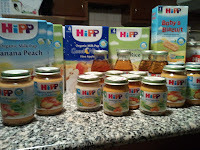 We were very kindly sent a large collection of HiPP Organic products to try out, an experience which was all new to me as I'd only done 'Baby Led Weaning' (BLW) with Leo . I must admit I was a little bemused by some of the products -a jar called 'My First Banana being one of the them, now I can understand a mix of fruit or vegetables being convenient in a jar but surely anyone could mash a banana! So, with a little hesitation I decided to try some out with Louka last week. BLW still seems the logical way to go for me so it all did feel a little alien to me and I even emailed the lovely lady who sent it all to us clarifying the 'right' way to do it! Since we have been in Cyprus we have talked about going to the mountains but it's one of those things we've never got round to. Although I'd love to go in summer to explore, and get a reprieve from the heat for a day or two, we thought it would be fun to take Leo in winter to experience snow. 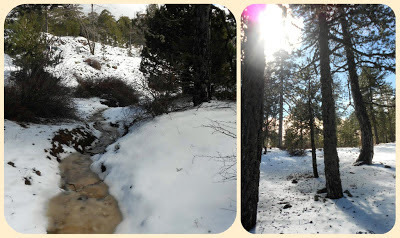 I was surprised when I first found out that it actually snows in Cyprus, and even more amazed to realise that there is even a ski resort. The season is short as it only tends to snow between December and March, with February being the best month to ski. It's quite a drive (just over 2 hours) from where we live, especially once you've got 'small island syndrome' as we have after being here over 3 years. You get so used to driving such short journeys that anything over 30 minutes seems like a huge expedition, I'm sure Leo thought we were driving to the end of the earth! I've not joined in with many Gallery prompts this year so far except last weeks which was 'Girls' when I wrote about my best girlies who I'll be off to see later today for the first time in years (did I mention I'm quite excited!) Obviously the logical prompt to follow that was going to be Boys and I couldn't miss that one, especially as I'll be leaving them behind while I make my flying visit to the UK! If you'd have asked me many years ago what my preference would be I'd have no doubt said I'd like girl, especially if I had already had a boy, but I really couldn't imagine it any other way now. 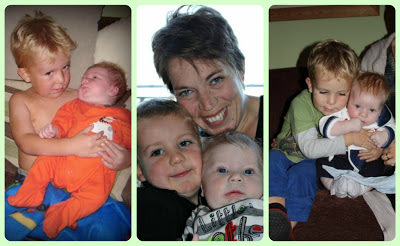 I love my boys to bits and couldn't imagine a girly world of pink and fluffy anymore. I never expected I'd know all the engines from Thomas or be so familiar with Bob and Mike the Knight and I hate to admit it but Aaron may have a point - boys stuff is cooler than girls! When I was pregnant with Leo I was quite concerned about getting stretch marks, I'd lost weight beforehand and had finally managed to achieve a fairly flat stomach and was wondered what it would look like after my little man's arrival. 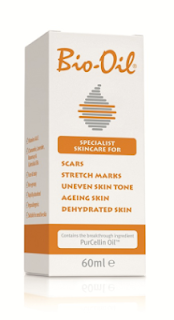 Although everyone says nothing can get rid of stretch marks completely I knew that there were things you could do to try and prevent them, and many people had recommended Bio Oil to me - the No1 selling scar and stretch mark product. I used Bio Oil, everyday throughout most of my pregnancy and actually ended up with just a couple of stretch marks appearing in the last week or so. (See, THIS is why I don't 'do late') I abandoned the oil after Leo was born when I had finished the bottle as I never got round to buying a new one thinking the oil was mainly for preventing the marks. In just three days time I'm leaving the boys behind for a whole five days and heading back to England all on my own to see my best girlies! It's been almost three years since I've been back and I'm so looking forward to it. It's going to be a busy few days as in that time I'm staying in three different places as I try to get to see all four of them but it should be lots of fun. Nic (top left) is my oldest friend as we went to playschool together 33 years ago! Nic Nic, (how she will also be known to us, despite announcing many years ago she was now 'Niki', she can never be a 'Niki' to me!) 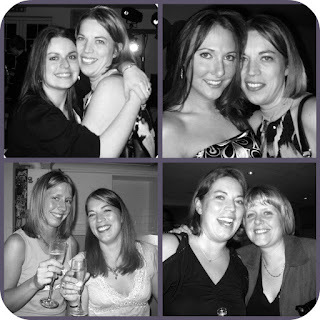 used to live round the corner from me, she was one of the first to move away so from our twenties we didn't see as much of each other, maybe just two or three times a year - never made the slightest bit of difference though when we did meet up, it's always like we saw each other yesterday. Totally engrossed, playing at his new table. 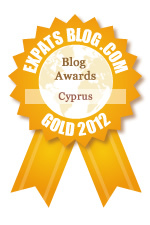 I got my 1/2 stone award this week, all that exercise must have worked! You can never have too many sky photos! Big brother will show you how to do it! First time in his highchair, and it didn't take long for him to discover this game! I can never quite decide on what the weather is like as it's usually so cold indoors compared to outside in the sun so we were dressed in jumpers (I was wearing two!) Leo quickly stripped off though and at one point I was even wishing I'd worn a bikini top underneath as it was so warm on the beach and my big polo neck jumper was sweltering! 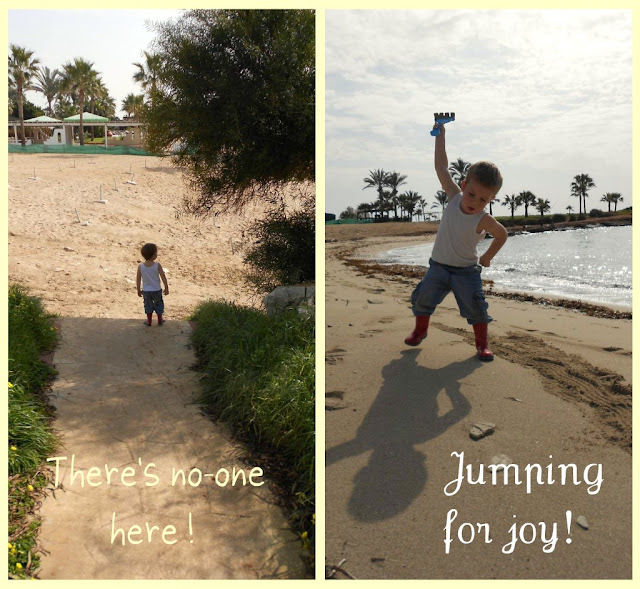 Leo had a great time, running around like a loony, making patterns and writing in the sand and together we even created a 'sand man', complete with seaweed hair! Ever since Leo started using the Reading Eggs website (an online world where children learn to read) back in September of last year it has remained one of his favourite activities, he even abandoned the Thomas and Friends website for it, and last week he has completed lesson 120! We usually did the lessons together as he found it a lot more fun that way, I doubt he would have finished them in that time on his own especially as they got harder towards the end, but he has amazed me with how well he has done considering he is only 3 still! I would now say that thanks to Reading Eggs, Leo can actually read - for a while I thought he was maybe just remembering the words of stories we have read many times but he's reading things everywhere, on signs, packets, from the television and is quite happy to try and work out what a word says by sounding it out if he doesn't recognise it. 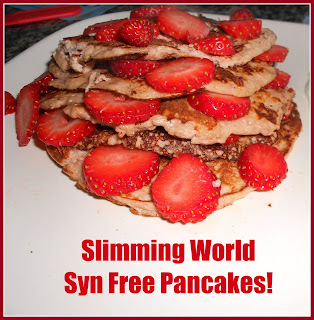 Just over two weeks ago I started the 30 Day Shred, I was a little nervous as I'd heard lots about it and it sounded very hard, but I was also excited as I'd also heard of the results people had achieved doing it. The first day was hard, harder than any workout DVD I've done before and I regularly used to do the Ministry Of Sound workouts, although I always took the easy option on them and probably never pushed myself as hard as I could have done. Wow, week 6 already, doesn't time fly! 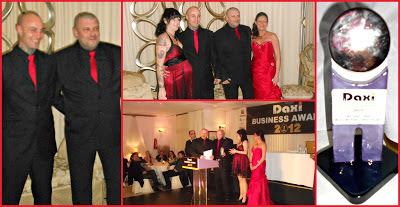 After our night out on Saturday for the Daxi Business awards, Sunday was always going to be a quiet day! Leo was pleased to get slightly more laptop time than usual as Mummy was very tired (and maybe a little fuzzy headed!) It was all educational though as he completed the last lesson on Reading Eggs and was over the moon when I gave him a certificate to show he had done them all. 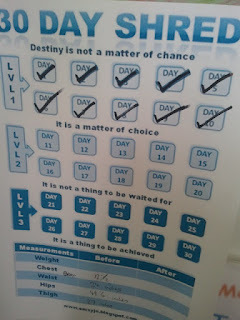 Monday saw me complete the first level of the 30 Day Shred which I was pleased to say had felt like it got much easier over the 10 days, Level 2 was then quite a shock to the system on Tuesday! The Shred was not the only exercise I got on Tuesday as I finally got round to going to Nicosia (the capital of Cyprus) I took lots of photos but the most unusual was of a line of coloured umbrellas strung across one of the old streets, we only came across it by accident as we wandered around trying to find Ledra Street so it was a nice surprise. Last weekend was the 2nd Annual Daxi Business awards night and my parents kindly babysat for us so we could attend for the second year running. 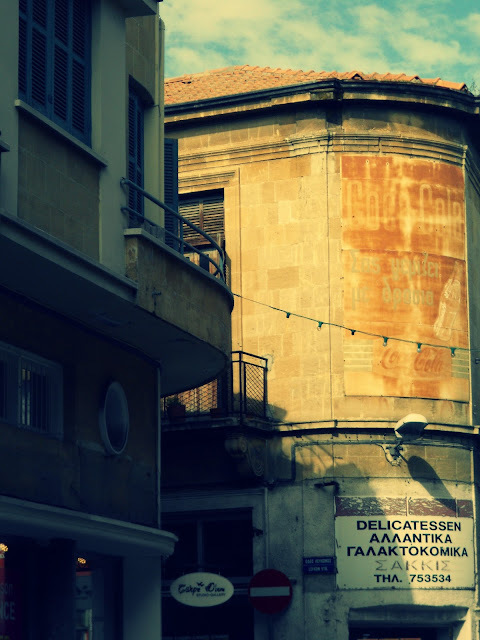 Daxi is a popular free magazine distributed all over Famagusta and Larnca and the business awards were set up to reward local business and bring the community together. Both years Daxi editor Natalie has done a fantastic job with arranging the evening, with a lovely buffet and entertainment laid on as well as the award ceremony itself. 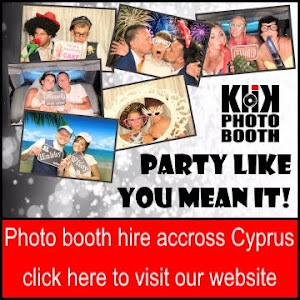 It's so nice to be able to get all dressed up which is a rare event at the best of times but especially since having babies and living in Cyprus! Our best friends were nominated for 'Best Newcomer' for their business 'Blood Brothers Professional Tattoo and Piercing Studio' and we were absolutely delighted that they won!!! Sam had the great idea for the whole table to dress in the company colours of black and red. When I was pregnant with Leo I read a book ( I did a lot of that, always trying to find the elusive 'Baby instruction manual) about Baby-Led Weaning. Not that I'd given it much thought but I'd always assumed I'd be pureeing carrots and stuff when it came to it but the more I read the more that baby led weaning (BLW) seemed the most logical thing to do.